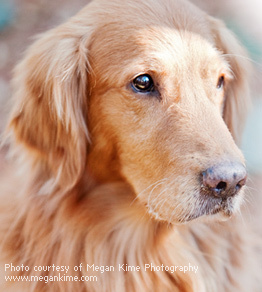 Upcoming Neuse River Golden Retriever Rescue events are listed below. Click here to take a look back at some of the past events from this year. Location: Raleigh Country Club, Raleigh, N.C. Enjoy an evening among friends and a celebration of volunteers, community partners, and DOGS! The 2019 Golden Gala is not one to miss - with dinner, drinks, silent auction, awards, photo booth, and much more! Tickets and sponsorships are now available! Click here to learn more. Location: Montague Lake, Raleigh, N.C.
Come spend a couple hours of your Mother's Day afternoon with a hundred dogs having the time of their lives swimming and playing at Montague Lake! The swim will be from 12 to 2:30 pm. Click here for more information about the swim. Save the morning of July 27th to attend our Summer Splash at Montague Lake in Raleigh. The swim will be from 9:30 A.M. to 12:00 P.M. Location: River Ridge Golf Club, Raleigh, N.C.
Mark your calendars for the 18th annual Golden on the Green Charity Golf Tournament! The tournament will be at the River Ridge Golf Club again this year. More information will be released closer to the event. Location: Millbrook Exchange Tennis Club, Raleigh, N.C.
Join us for a weekend of fun tennis for a GREAT cause. All proceeds go to help rescues and shelters throughout Eastern NC. Save the afternoon of October 26th to attend our reunion swim at Montague Lake in Raleigh. The reunion will be from 12 to 4 P.M.
Click here for more information about this year's reunion. * This is a NRGRR ONLY Event for adopters, fosters and volunteers.